This Friday I’ll be going on a short weekend trip to Canada’s capital, Ottawa! Hurray! I’ll be making good use of the samples I’ve received from my subscription boxes. Take makeup that is multi-purpose, such as a lip and cheek stain, an eyeliner that can double for filling eyebrows, or a shadow that can also be used as highlighter. This way you pack less but get more use out of the items you have. Instead of carrying full size products, opt to put them inside little sample containers. I have a few that I’ve collected from Sephora for example. They are large enough to put in a weekend’s worth of foundation, face wash and face cream. You can also purchase small containers from the dollar store. This saves space and is cheaper than purchasing travel size items from the store. 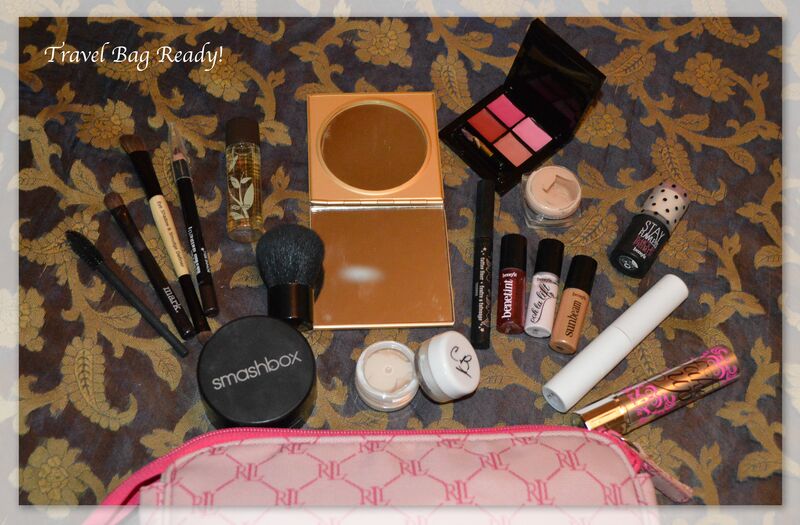 Keep the makeup you know you want to take with you in a ziplock bag until you are ready to go. For instance, a few days before I leave, I’ll start putting items in a ziplock as I do my everyday makeup routine. I keep the ziplock in my makeup case until I’m ready to go. Then come travel day I’m taking what exactly the items I use. Use a checklist. There are tons of great ones online, I like the Pack This list. Know what the weather will be like in the area you are going and pack accordingly. 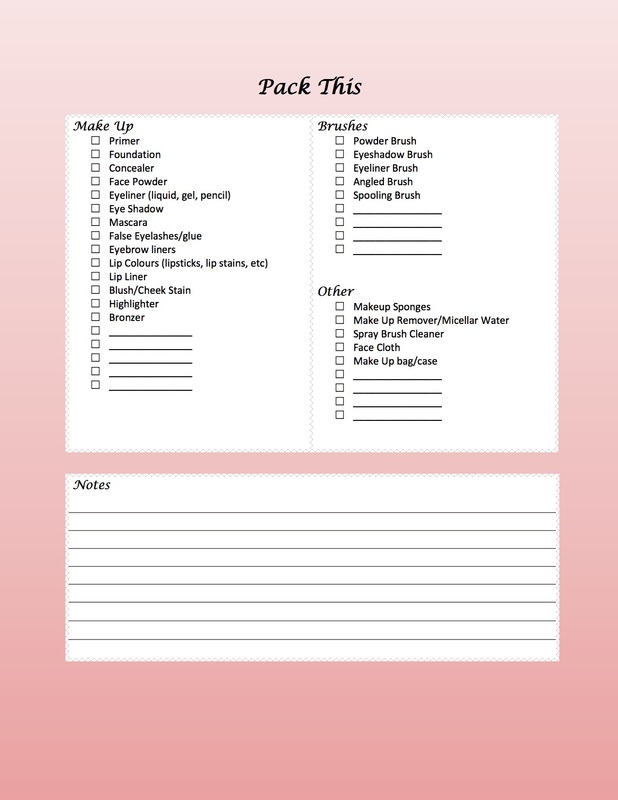 Although there are a number of good packing lists, I didn’t find one for makeup, so I created it and decided to share with you. Click the image to download. Hopefully it is helpful! Do you have any Travel Tips? I’d love to hear them. Also, I will start a section on my blog for just travel to document my trip to Ottawa and other trips I go on….I’ll be doing a big trip to Europe in September! I can’t wait! I should have sent you tweets of nordstrom! I was in heaven! Great tips! I love the idea of the list!!! I, too, like to use Fakeup and Benetint! Great products!